Frances Massey has established a charitable trust to fund endowments for the College of Textiles and NCSU Libraries. Frances Massey loves textiles. Spend a little time at NC State’s College of Textiles with the Raleigh resident, and that fact quickly becomes clear. She speaks eloquently about the industry and enthusiastically about details such as types of fibers. Her hands grow animated and the retired professor in her emerges. Walking the hallways and laboratories with Frances offers hints, too, of the impact she made as the college’s first female faculty member. Former students and colleagues from her 1963–1993 career greet her, and she names several who now lead textile companies and organizations. It’s important to Frances that she continues contributing to education at NC State. Through the sale of a vacation home, she has set up a charitable trust that will fund endowments for the College of Textiles and for NCSU Libraries. The textiles endowment portion of her planned gift will benefit graduate fellowships, an often unmet need; she chose to support the libraries, too, in order to make a difference for all students and faculty. Frances grew up on a farm in Spivey’s Corner, Sampson County. Her parents, Jesse and Esther Wilson, put a premium on education for their seven children. After graduating from then-East Carolina Teachers College, Frances taught home economics at Nash and Wake County high schools. As a young girl participating in 4-H, she had won dress-making competitions, and her passion within home economics was sewing and textiles. After 11 years of teaching, Frances decided to return to school, earning a graduate degree in textiles from UNC-Greensboro and completing an assistantship at Blue Bell. Her late husband, George, worked in farm equipment sales; through university connections, he heard of a job opening at NC State. Massey tours the laboratories in the NC State College of Textiles. Hired as an instructor, Frances eventually retired as assistant professor of textile and apparel technology and management. In the 1970s, she became the first female member of Phi Psi national textile professional fraternity. 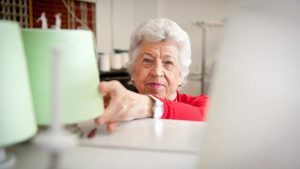 Frances taught labs specializing in fiber microscopy—which she felt really challenged students—and the freshman-level introduction to textiles, as well as weaving, knitting and nonwoven labs, and a course in fabric formation systems. Few students earned textile degrees without passing through one of her labs. Her proudest accomplishment was developing and teaching a course on textiles’ end uses. “That really tied it all together. You aren’t just making yarn and fabric—you’re actually making something useful from them,” she notes. 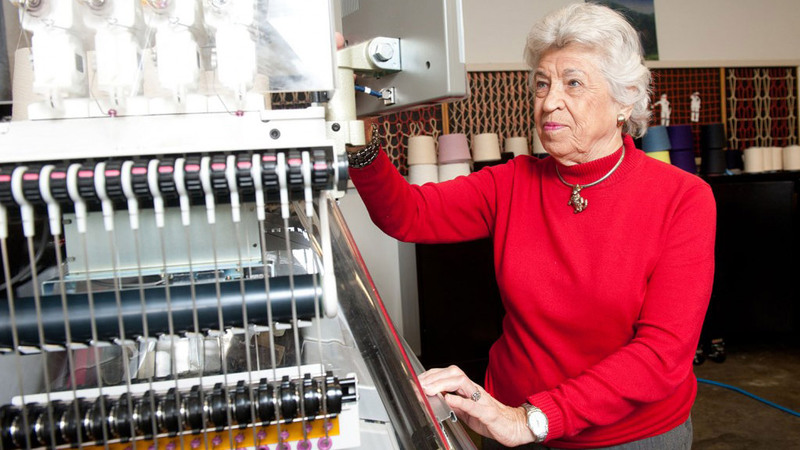 Today, she stays busy with retired faculty and teachers groups, sometimes taking or leading tours of the College of Textiles and local textiles firms. Her volunteer activities including serving as a train host on the Piedmont and Carolinian routes, and she enjoys Wolfpack sports events. About 90 percent of students in her former department are women, the majority of textile engineering, chemistry and science students are women, and the college has many female faculty members. “And technology, more manmade fibers … a lot of things have changed,” Frances says. But her generosity will ensure that her impact at NC State remains a constant for years to come.